Disclosure: I received the following for review from Eden and Zoe. All opinions are my own. Cashmere. It's a thing of luxury right? I remember when I got my first piece how painstaking it was to take care of to wear again. However, Eden and Zoe offers a beautiful collection of cashmere pieces for kids that is a breeze to wear again and again. Moreover, for Spring and Summer, you can find soft cotton pieces to frolic and play in - like the Poppy Dress! The 100% cotton Poppy dress has classic cable detail high on the waist and on the shoulders with a lined floral fabric tiered skirt that is twirl ready. The light pink with white floral print is so fresh. It's also comfortable for Kenzie to run and play in as well as strike a pose! 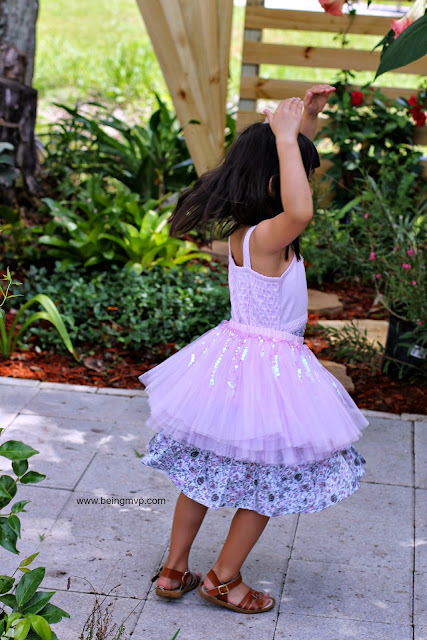 Every little girl loves to wear a tutu - everywhere and most of the time so the Zinnia Tutu Skirt is a definitely a hit. There are multiple layers with sequin strands that can go over any dress to make it that much more special. Kenzie is enamored with this tutu and her personality definitely changes when she puts it on. You do have to be a wee bit careful of the strands since they are delicate. Mason looks like such a grown kid with his Aster hoodie. This is so soft and easy to wear. The flash of the geometric print inside the hood is super fun as well as the zipper running the full length around. This should be a staple in every little boy's wardrobe because you can wear it all year long. What I love about these pieces from Eden and Zoe is that they are machine washable. 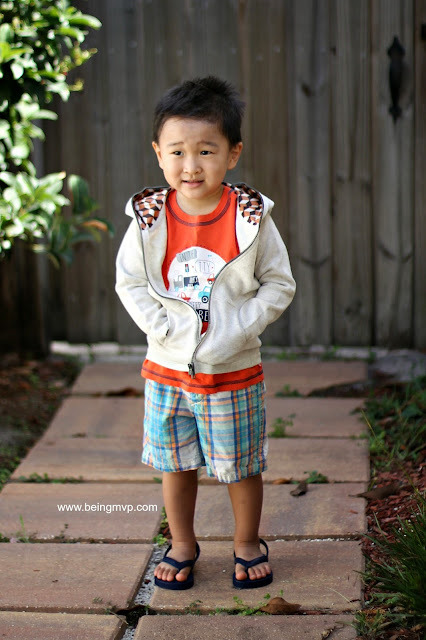 Fashionable and wearable for real kids who like to run and play while looking stylish. Coupon Code: Use Code MVP25 for $25 off any purchase of $100 or more at www.edenandzoe.com. Expires on Sunday May 31 at 9pm PST. One Winner will Receive a $75 e-Gift Card! I would love the POPPY DRESS for my 6 year old daughter! I'd get the Poppy Dress for my friend's daughter for her birthday. I would put it towards the poppy dress for my niece! It is so cute! I love the POPPY DRESS for my 5 year old daughter! I would get the Calypso Pleat Dress (in the past season's collection) because it is timeless and classy. My daughter would look beautiful in it! I'd get a Delphine Dress or the Venus dress for my daughter. I would buy the Aster hoodie for my granddaughter. Nellie. 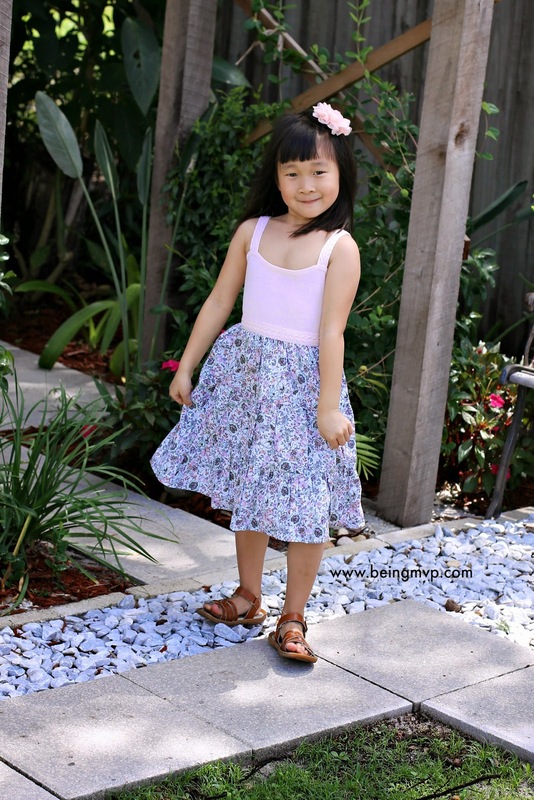 Love the Lily Skirt for my daughter! I would love to purchase the poppy dress for my niece....very cute! I would get the poppy dress for my daughter. She would love this! My son would like the Aster hoodie and my daughter would ADORE the Zinnia Tutu Skirt! I love love love the Aster hoodie! I have two boys so I'd get this for my older one! I'd get either the Poppy dress or the Zinnia tutu skirt for my dd! I'd love to get the Zinnia tutu skirt in purple for my daughter. The poppy dress is so pretty! I would love it for my daughter. I would get Delphine dress for my daughter. I would get the zinnia tutu skirt for my daughter. I like the delphine dress and the zinniai skirt for my granddaughters. I would like to get the Poppy Dress. My oldest daughter loves wearing dresses and I know she'd love it! I would pick the Aster hoodie for my son! Their clothes are adorable and it would be a hard choice! I really love the Poppy dress. I would get the poppy dress for my neice!! I would get the Aster hoodie for my six year old son. I would get the ZINNIA TUTU SKIRT for my niece she would love it. Id love to have the sweet Delphine dress in white with yellow flowers for my 18 mo old daughter. It's just so pretty! I would get the boys aster hoodie for my son. I would get their Florian Hoodie in the Light Grey Color. It would be for my grandson. So luxurious! I would get the Alessandra Tutu Skirt for my granddaughter. So feminine and sweet. I'd get the Susie hand warmers for my daughters! Florence dress for my twins. I would either get the Aster hoodie for my youngest grandson or the Striped Cotton Blanket in purple. I would get the BIRD'S EYE CASHMERE BLANKET for my girlfriend's baby shower. I like the aster hoodie for my granddaughter. I have been looking for one and haven't been able to find one. 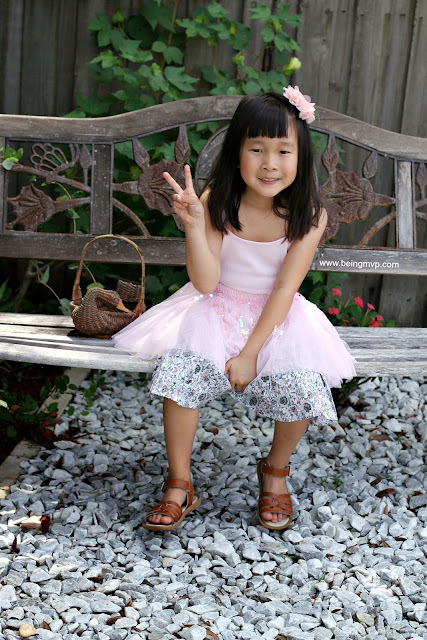 I would get the ZINNIA TUTU SKIRT for my oldest daughter. I would choose the Zinnia Tutu Skirt for my niece, Grace. She would LOVE the sparkles! I love the Zinnia tutu skirt. I would get the Poppy dress for my daughter. I would get the Aster hoodie for my daughter. I really like the poppy dress in GREY for my daughter who's 3 . I would get the Delphine dress for my daughter. I would get the Poppy dress for my niece! I would get the Poppy dress for my granddaughter. I like the Sylvie dress for my daughter. I would get the briny cardigan for my daughter. So pretty! I like the Florian Hoodie for Big Earl! I would get the Florian hoodie for my nephew, because it looks great. I like the poppy dress for my daughter. I would get the Natalia headband for my friend. I would get the Aster hoodie for my nephew. the DELPHINE DRESS for my daughter kelsey !